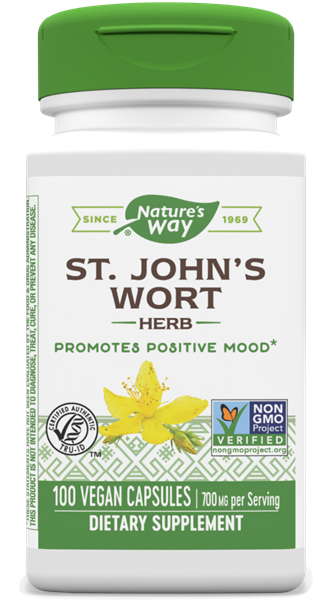 St. John’s Wort / 100 Caps - Nature's Way®. Take 2 capsules twice daily. For best results use for at least two months. This product should not be used by pregnant or nursing women, or by persons who are taking antidepressant medications. Persons taking other prescription drugs should seek the advice of prescribing physician prior to using this product. Avoid excessive exposure to UV radiation (e.g., sunlight, tanning) when using this product.